1626371512 -The third edition of the award-winning International Organizations has been thoroughly revised and updated to take into account new developments and shifting power relations since 2009, as well as the most current scholarship. 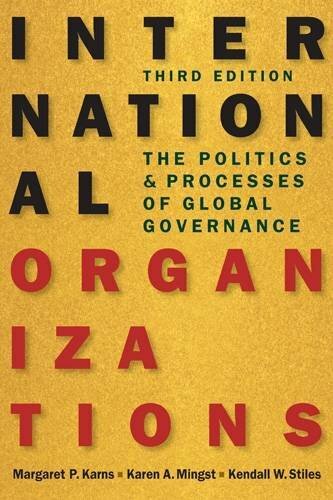 As before, the authors provide a comprehensive, in-depth examination of the full range of international organizations. New features of the book include attention to a broader range of theoretical approaches, to the increasing importance of regional organizations, and to emerging forms of governance. And new case studies highlight the governance dilemmas posed by the Libyan and Syrian civil wars, human trafficking, LGBT rights, climate change, and more.